Pest Control Rockingham - Termites, Spiders, Birds, Possums & More! As one of Western Australia's leading pest control companies, we have the resources and experience to deliver services and treatments throughout Western Australia. 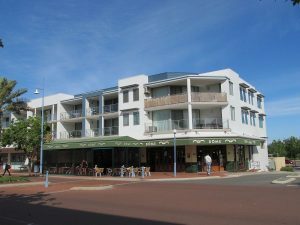 South of Perth and Fremantle, the beachside location requires unique and experienced strategies and approach when treating and removing pests. The marine environment and mixture of both industrial and residential communities, means there are a wide range of pest control issues to deal with. The sandy soil and coastal vegetation amongst built up areas is a haven for breeding populations of many common pest species that migrate into residential and commercial areas. We offer a termite inspection and treatment services for both residential, commercial and industrial clients. Our pest control Rockingham reatment programs include assessments, management, removal and treatments. This may include chemical, baiting, and alternatives such as Exterra. Rats and mice are a continual problem in many areas and if not checked can quickly become out of control. Our extermination and rodent control solutions ensure that disease and contamination is reduced, and reduce the instances of damaged wiring and and other areas of homes and buildings. Wasps and bees are a common nuisance in many areas of Rockingham, both in homes and commercial installations. We offer a comprehensive bee hive treatment and removal program. Both wasps and bees can be dangerous to both humans and animals. They can be particularly prevalent in spring time. For more information on our services for pest control Rockingham, please contact us using the information on this page.